Nicklaus Children’s is in the process of building a specialized delivery unit so mom and baby can stay together after birth; and if a new baby needs to immediately be taken to the operating room, mom can visit right away. Dr. Saima Aftab leads center of excellence through expansion of facilities, service and outreach. in Miami, is a mother three times over. She knows the daily challenges of typical parenthood — let alone the shock of unforeseen pregnancy complications. The Fetal Care Center at Nicklaus Children’s is dedicated to families expecting an infant with medical needs that require intervention at birth. The program offers comprehensive, coordinated care from prenatal diagnosis to delivery, postnatal care and the transition to infant care. 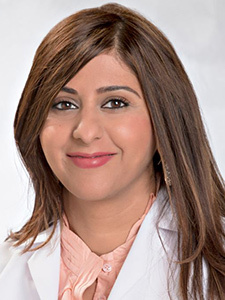 “Any time there’s a concern during your pregnancy that there may be a condition affecting your baby — a hereditary or genetic disease or condition — we can help you,” Dr. Aftab says. Expectant mothers might be directed to the Fetal Care Center because their obstetrician discovered an anomaly or due to conditions that run in some families such as cystic fibrosis or Tay-Sachs disease. Sometimes a healthy couple contemplating pregnancy will come, prenatally, for comprehensive genetic testing. Nicklaus Children’s Fetal Care Center — led by Dr. Aftab — well understands the concerns of families anticipating an infant with a complex diagnosis. Pediatric subspecialists collaborate with prenatal care providers in the community to provide families with coordinated care and support. In this day and age, with the advances in maternal healthcare and neonatal care, neonatologists such as Dr. Aftab have not only gotten much better at diagnosing a lot of conditions that can affect an unborn baby before birth, they are also much better in being able to prepare and to treat them after birth. 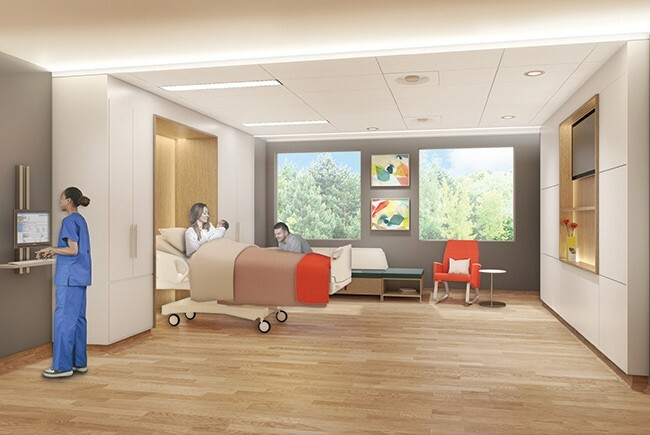 Nicklaus Children’s is building a specialized delivery unit — expected to open in 2019 — so mom and baby can stay together after birth; and if a new baby needs to immediately be taken to the operating room, mom can visit right away. Birth is a unique medical experience in which the doctor ends up having two patients. “About a decade and a half ago,” says Dr. Aftab, “a lot of big centers started to think, ‘We can do better.’ There should be no reason why we can’t provide comprehensive, coordinated care for mom and baby under one roof. Children’s hospitals needed to provide continuity, so mothers and babies didn’t get separated. This was happening quite often as most babies would deliver in an adult facility far from the children’s hospital that would care for the baby after birth. “The field of fetal surgery is developing and expanding quickly. There are a number of new procedures that can treat or repair fetal conditions before birth. Our goal is to develop a fetal intervention program in our Fetal Care Center so our families have access to these latest advances and innovative treatments. Nicklaus Children’s provides high-fidelity fetal MRI studies, fetal echocardiograms, a wide range of genetic testing and other studies that help physicians understand conditions that affect the baby, their severity and the implications for the baby after birth. Dr. Aftab, a fellow of the American Academy of Pediatrics, is employed by Pediatric Specialists of America, the physician-led multispecialty group practice of Nicklaus Children’s Health System. Her clinical and research interests are focused on delivery room resuscitation and incorporating high-fidelity simulation in practice to ensure the highest quality of care in code situations.